Jesse Ray here. We just finished producing my dad’s newest recorded talk on CD. Proclaiming the Gospel: Back Then – And All Over Again. 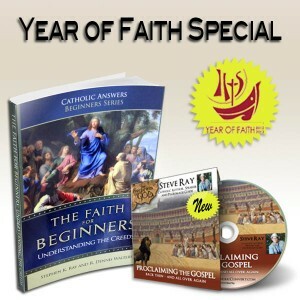 It is available now for a special price along with his popular book called Faith for Beginners – Understanding the Creeds. I always tell people that they will thank me later :-) and they do. We got a wake up call today at 4:00 AM to leave for the Via Dolorosa, touching the top of Calvary and High Mass at the Tomb of Christ. We get up early because the streets are empty and the can pray and stay together as a group more easily. 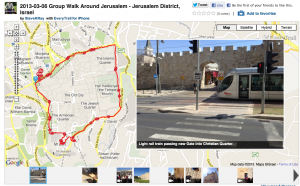 Click on image to join the Virtual Tour with maps, videos and pictures.